Objective: To assess the post-operative outcome after Posterior Fossa Decompression (PFD) with duraplasty in Chiari-1 malformations. Place and Duration of Study: Department of Neurosurgery, Medical Teaching Institution Lady Reading Hospital Peshawar, from January 2013 to June 2018. Materials and Methods: This study included 28 patients of Chiari 1 malformations admitted through OPD with the presentation of suboccipital headache, neck pain, dizziness/fatigue, numbness and paresthesias in upper limbs, gait problem, cerebellar dysfunction and or with syringomyelic syndrome. MRI whole spine and CT scan brain was done in all cases to confirm diagnosis and rule out other pathologies. Suboccipital craniectomy with C1 laminectomy and expansile duraplasty was performed in all cases and clinical outcome was assessed in follow-up clinic. Results: Among 28 patients, 16 were females and 12 males. Age ranged from 16 to 48 years with a mean of 26 years. Headache were present in 22, neck pain in 17, fatigue and dizziness in14, numbness and paresthesia of upper limbs in 12, loss of fine motor skills in 8, cerebellar dysfunction in 5 and sphincter loss in 4 patients. Mean time to diagnosis was 14 months. Syrinx was present in all patients. Posterior fossa decompression with duraplasty with an additional C1 laminectomy was performed in all cases. Syringo-subarachnoid shunt was placed in one patient. Pain was relieved in 78.5% of cases. Postoperative outcome was assessed as good, fair and poor based on pre and post-operative clinical and radiological parameters. Good outcome was noted in 22 patients and fair in 6 cases in this series. No patient suffered a in our series. Syringomyelia was improved in all except one case in which it improved after syringo subarachnoid shunt. Postoperative morbidity included CSF leak in 2 patients, superficial wound infection in 2patients. Conclusion: Posterior fossa decompression with C1 laminectomy followed by expansile duraplasty is the main surgical modality of treatment for Chiari-1 malformation. Better post-operative outcome is achieved with PFD in terms of symptoms, reduction in syrinx size, with minimum surgical morbidity and mortality. 1. Rehman L, Akbar H, Bokhari I, Babar AK, A. Hashim SM, Arain SH, “Posterior Fossa Decompression with Duraplasty in Chiari-1 Malformations”. JCPS. 2015; 25 (4): 254-258. 2. Kalemci O, Yilmaz M, Ur K, Arda MN. Decompression of the foramen magnum without burr hole for treatment of Chiari malformation type-1: report of 25 cases. JNS (Turkish), 2014; 31: 744-51. 3. Abla AA, Link T, Fusco D, Wilson DA, Sonntag V. Comparison of dural grafts in Chiari decompression surgery: review of the literature. J Craniovert Jun Spine, 2010; 1: 29-37. 4. Khan AA, Bhatti SZ, Khan G, Ahmed E, Aurangzeb A, Ali A, et al. Clinical and radiological findings in Arnold Chiari malformation. J Ayub Med Coll Abbottabad 2010; 22: 76. 5. Alden TD, Ojemann JG, Park TS. Surgical treatment of Chiari-1 malformation: indications and approaches. Neurosurg Focus, 2001; 11. 6. Mottolese C, Szathmari A, Simon E, Rousselle C, Ricci- Franchi AC, Hermier M. Treatment of Chiaritype-1 malformation in children: the experience of Lyon. Neurologic Sci 2011; 32: S325-30. 7. Battal B, Kocaoglu M, Bulakbasi N, Husmen G, Tuba Sanal H, Tayfun C. Cerebrospinal fluid flow imaging by using phasecontrast MR technique. Br J Radiol. 2011; 84: 758-65. 8. Siasios J, Kapsalaki EZ, Fountas KN. Surgical management of patients with chiari-1 malformation. Int J Pediatr. 2012; 1: 10. 9. Kennedy et al. “Outcomes after suboccipital decompression without dural opening in children with Chiari malformation Type I.” J Neurosurg Pediatr. 2015 August; 16 (2): 150–158. 10. McVige JW, Leonardo J. Neuroimaging and the clinical manifestations of Chiari malformation type I (CMI). Curr Pain Headache Rep. 2015; 19: 18. 11. Wilkinson et al “Trends in surgical treatment of Chiari malformationType I in the United States”. J Neurosurg Pediatr. 2017; 19: 208–216. 12. Chen et al. Comparison of posterior fossa decompression with and without duraplasty for the surgical treatment of Chiari malformation type I in adult patients. A retrospective analysis of 103 patients Medicine, 2017; 96: 4. 13. Ma J, You C, Chen H, et al. Cerebellar tonsillectomy with suboccipital decompression and duraplasty by small incision for Chiari I malformation (with syringomyelia): long term follow-up of 76 surgically treated cases. Turk Neurosurg. 2012; 22: 274–9. 14. Chotai S, Medhkour A. Surgical outcomes after posterior fossa decompression with and without duraplasty in Chiari malformation-I. Clin Neurol Neurosurg. 2014; 125: 182–8. 15. Deng X, Yang C, Gan J, et al. Long-term outcomes after small-bone window posterior fossa decompression and duraplasty in adults with Chiari malformation type I. World Neurosurg. 2015; 84: 998–1004. 16. Bowers CA, Brimley C, Cole C, et al. Allo Derm for duraplasty in Chiari malformation: superior outcomes. Acta Neurochir (Wien), 2015; 157: 507–11. 17. Siasios J, Kapsalaki EZ, Fountas KN. Surgical management of patients with Chiari 1 malformation. Int J Pediatr. 2012: 640127. 18. 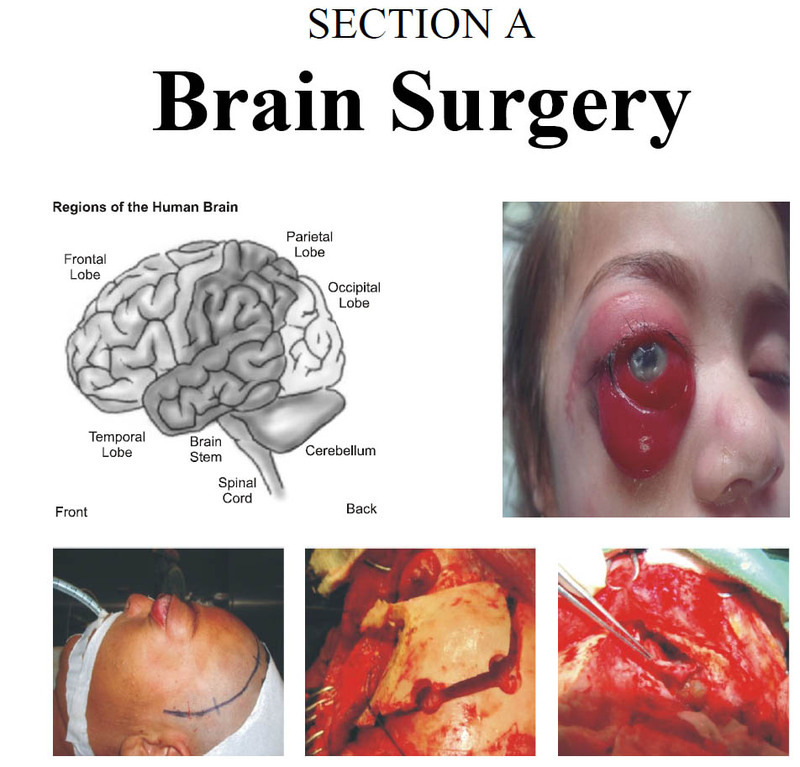 Ahmed M K, Ehab A A, Hanan H. Surgical Management of Chiari Malformation Type One in Adults. Tech Neurosurg Neurol. 1 (3).